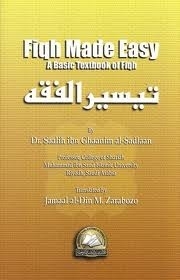 In this work, the world- renowned scholar of comparative fiqh, Dr. Saalih al-Sadlaan of Muhammad ibn Saud Islamic University discusses the most important issues of fiqh. In this work, the author has done an excellent job of concisely mentioning the most important aspects of the different fiqh topics he discussed. Furthermore, he has discussed many issues that are not greatly discussed in the English literature, such as the rules concerning bequests and endowments. Hence, this work was chosen to be translated as a welcomed addition to the available English literature.